A must visit for every Murugan devotee, the Thiruthani Murugan Temple is the fifth out of six Padai Veedus (holy abodes) of Lord Murugan. You simply cannot miss visiting this temple. The love story of Sri Valli and Lord Murugan is vividly described by the poet Arunagirinathar, in Tiruppugazh. Valli was found as a baby in the jungle and raised by hunter-gatherers. Lovestruck with the unseen god, Valli made a solemn vow to marry only the great Lord Murugan and never any mortal man. To test her love, Murugan appeared before her disguised as an old ascetic. In a secret plan, Sri Ganesha appeared in the form of a wild elephant to frighten Valli. The ascetic than scared the elephant away and rescued Valli, who rushed into his arms. In return for rescuing her, he then asked Valli to marry him. Though thankful, she refused to marry him. 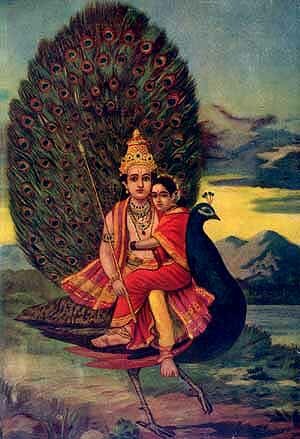 At the end of the drama, Lord Murugan revealed himself to her and she accepted the proposal. It is believed that the wedding of Lord Murugan and Valli took place in Thiruthani. 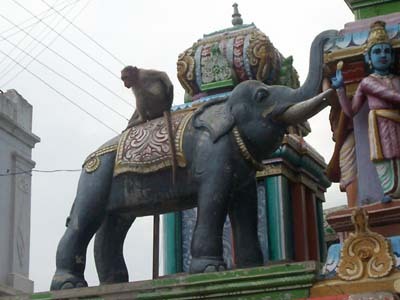 Another legend tells that Indra, the heavenly king, presented his elephant Airavatam as part of his dowry during the wedding of his daughter Deivayanai to Murugan (Murugan has two consorts, Valli and Deivayanai). Upon Airavatam’s departure, Indra found his wealth waning. Lord Murugan than offered to return the white elephant. However, bound by tradition, Indra refused to accept the return of a gift that he had made, but instead requested the head of the temple’s elephant statues face his direction, which is why the elephants in this temple face the east; the direction of Indra. Another legend has it that Indra presented a sandal stone as a part of his daughter’s dowry. Sandal paste made on this stone is said to acquire medicinal value when applied to the image of Murugan. Today, the sandal paste used in Murugan worship in Tiruthani has a divine significance. It is not ground on regular stones, but on the one believed to be gifted by Indra. Devotees do not put this sandal paste on their forehead but dissolve in water and consume it as it is believed that to cure them of any disease. This divine offering is available only on festival days. The temple has 365 steps representing each day of the year. 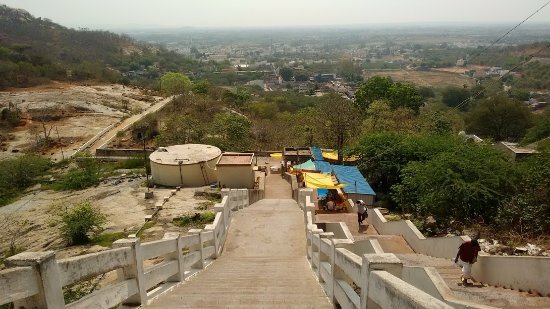 Sri Vallimalai Swamigal began Padi Puja (worshipping the steps) in the year 1917. On New Year’s eve, each step would be washed and adorned with turmeric and Kumkum. Offering an Arti with camphor, while singing a Tirupugazh hymn, is also part of the ritual. After the puja (prayer ritual) to the steps, special pujas are performed to Lord Murugan at midnight to welcome the new year. Among others, Thiruthani is the place where Lord Murugan shed his anger and fury after conquering and destroying the Demon Surapadman in Thiruchendur. It is also said that Lord Rama, after putting an end to Ravana, worshipped Lord Shiva at Rameswaram, then came to Tiruttani to find perfect peace of mind by worshipping Lord Subramanya.